It's been a little while since I did a Q&A and when Melanie over at Ribbons & Rotor Blades challenged me to answer these questions, I happily obliged. She came up with some really fun questions that I don't think I have answered on the blog before, so here we go! 1. If you have to choose ONE restaurant, fast food or sit-down, to dine at for every meal for the rest of your life, what do you pick? Do calories count? Let's pretend they don't. If you know Parker and me in real life, you probably know the answer to this. Chilis. We love it and typically know the waitresses. Shout out to my fav waitress Frankie at our local Chilis. 2. You're limited to only 5 apps on your smartphone. Which 5 do you choose? In random order: Instagram, Facebook, BubbleWitch2 (such an addicting waste of time, I know), MapMyRun, and my Bible app. 3. Tell us a story about a time in your life when you were most scared. The most vivid memory I have for this question is a recent one. I had surgery back in December following my miscarriage with Taylor. This was my first surgery and thus my first encounter with anesthesia. I remember those first few moments of being woken up as they wheeled me out of the OR and being scared to death. I couldn't breath and was grabbing at my oxygen mask and trying to roll over into the fetal position, and there were at least 5 nurses all around me trying to hold me down. I lost more blood than I was supposed to in surgery, and when they woke me up, my blood pressure was 60s over 30s. It's supposed to be about 120 over 60. Needless to say, it wasn't good. I finally regained my breathing, but those first couple of minutes were really scary. Fun fact: I ended up in the ER 2 days later for a blood transfusion. My blood count was still too low and we couldn't get my heart rate down. Put simply, that wasn't my favorite week of life. 4. Tell us about a time when you felt the most confident, beautiful, or proud of yourself. Hmmm. Well, I felt the most beautiful on my wedding day. I felt like I was glowing and was so confident in my appearance and elated that the day had finally come. There is just something about putting on that dress and knowing you are getting married today! I felt proud of myself after Taylor's memorial service. I was proud of the way I handled it and proud of myself for insisting we do it. 5. A song comes on the radio and you immediately start dancing around. You can't help it, and there is no way you can sit there without getting up and dancing. What song is that for you? More like what artist is that for me... TSwift gets me every time. Right now it's Blank Space, but I love all of her songs. I sing Back to December in my car like I'm preforming on American Idol. And just in case this is a thought, no, our daughter is not named after Taylor Swift. 6. What is your favorite TV show of all time that is no longer being filmed? There is only one correct answer to this question. Friends. 7. What are your favorite blog posts to write? What about to read? My favorite posts to write were my bumpdates when I was pregnant. In a broader scope, my favorite posts to write are the ones that make me feel something. If I am really convicted and feel strongly about something, I feel like those posts are the most authentic and meaningful. I also like to write posts that I hope will inspire others. I'm glad I've documented our journey after losing our daughter, and if that has helped just one person who has or may go through something similar, then I am happy. As for my favorite posts to read... I like to read funny posts or posts about cool adventures other people go on. I like to write and read it all though, really. Happy Friday, yall! Thanks again Melanie for the questions! You're such an amazing lady! Friends is absolutely correct. The best show ever, ever, ever. I'm quite new to blogging and I have enjoyed the past three days of sharing my life and adventures with everyone. My question is...how do you get a following? I don't want to think I'm doing this for nothing :/ Any advice on how to grow your blog? 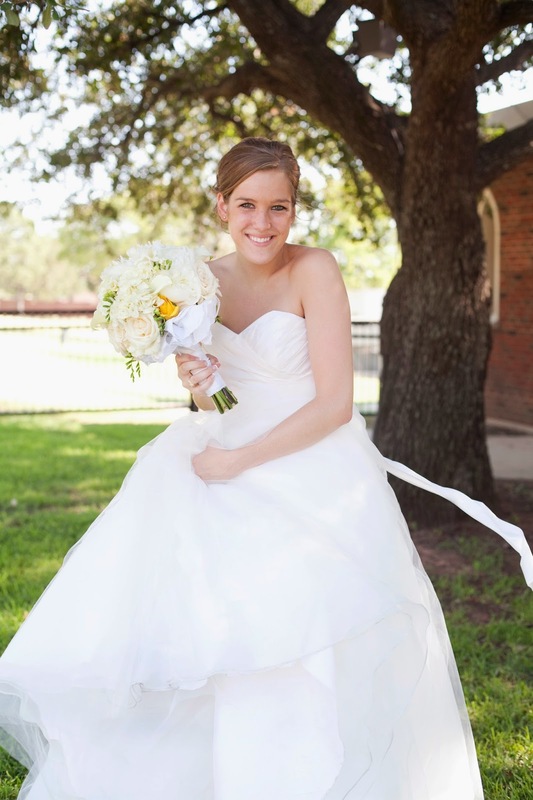 Chelsea, you looked so darn beautiful on your wedding day! And seriously though...any surgery is terrifying, so you handled *everything* with a magnitude of grace. Well done, lady. Hey girl! How fitting that you wrote about writing posts that inspire others... I wanted to let you know that I would love to share your post that you wrote about Taylor Grace in my Favorite Finds post this Thursday. I think I remember commenting after I read it, but having experienced infertility and miscarriage, I felt so moved by your post and know that others will too. Do you mind if I share a link to it on my blog this Thursday? What a gorgeous wedding photo! Tswift and friends....yes!!!! !